If you need a chain link fence for your home or business, come to Hohulin Fence. We have the experience and dedication to make a quality fence for any purpose. We are a family owned business and have been a major name in the fencing industry for well over a century. Originally founded in 1897 by Sam, Tim and John Hohulin, we were the first to commercially manufacture chain link fence fabric in this country. Today, we still carry on that mission of quality and attention to detail, serving Illinois for more than 120 years. You will appreciate our exceptional fencing, backed by superior craftsmanship and products. 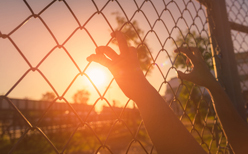 In terms of chain link fences, we offer products for both commercial use and residential use. Thus, we provide the chain link fence Decatur IL needs. Hohulin Fence is proud to say all our fences are made in the USA. We offer a wide spectrum of options, from residential to commercial chain link fencing systems. 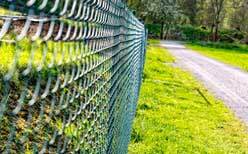 To inquire about our chain link fences in Decatur IL, contact us at 309-316-1008. You can also email us at info@hohulinfence.com. In conclusion, we are located at 116 South Harrison Street in Goodfield, IL for your convenience.